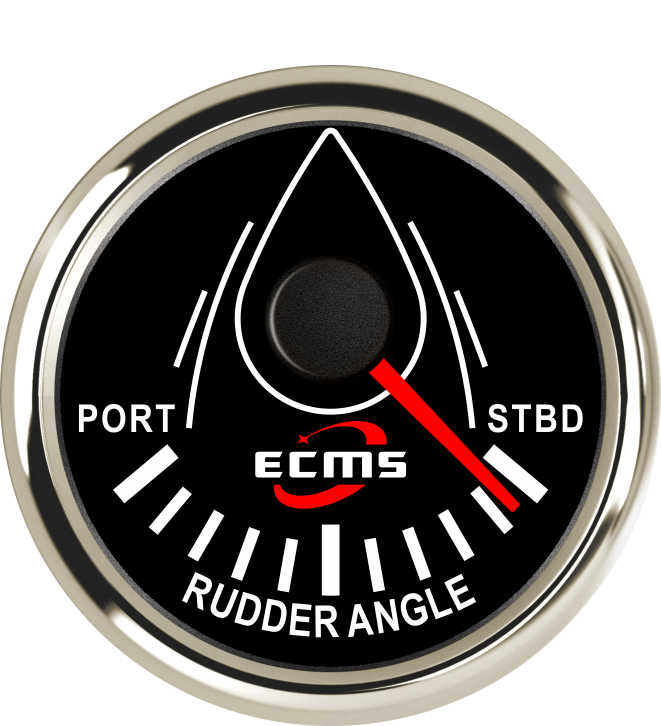 The ECMS 'Mermaid' range of marine control gauges offer outstanding quality and performance at a very realistic price. The entire range are fully 12/24 volt, convex glass crystal, stainless steel bezel, Water and Dust proof. 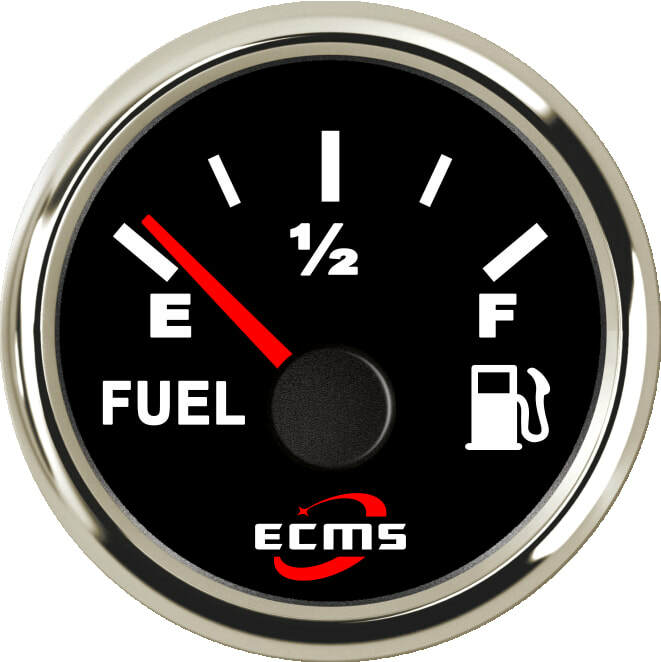 Robust and easy to read waterproof Fuel gauge with glass crystal and stainless steel bezel. Back light colour - Red. 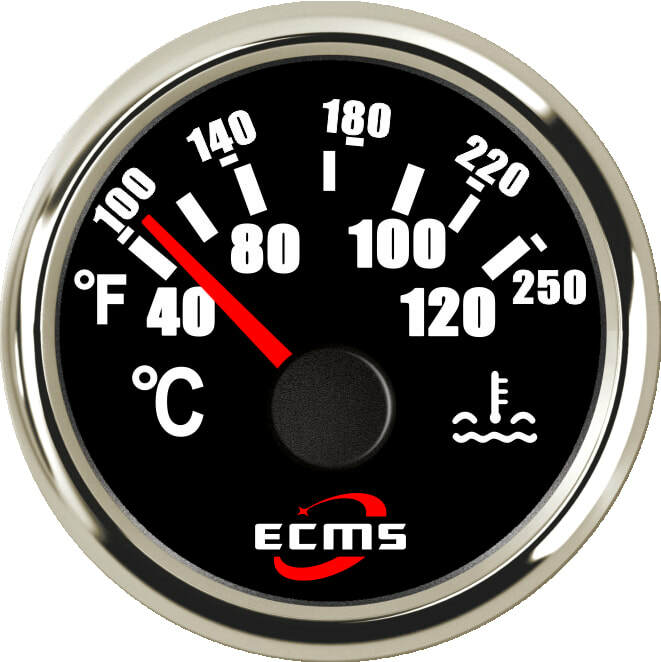 Robust and easy to read waterproof Water Temperature gauge with glass crystal and stainless steel bezel. Signal from sender 287.4 to 22.4 Ohms. Robust and easy to read waterproof Oil Temperature gauge with glass crystal and stainless steel bezel. Signal from sender 361 to 19 Ohms. 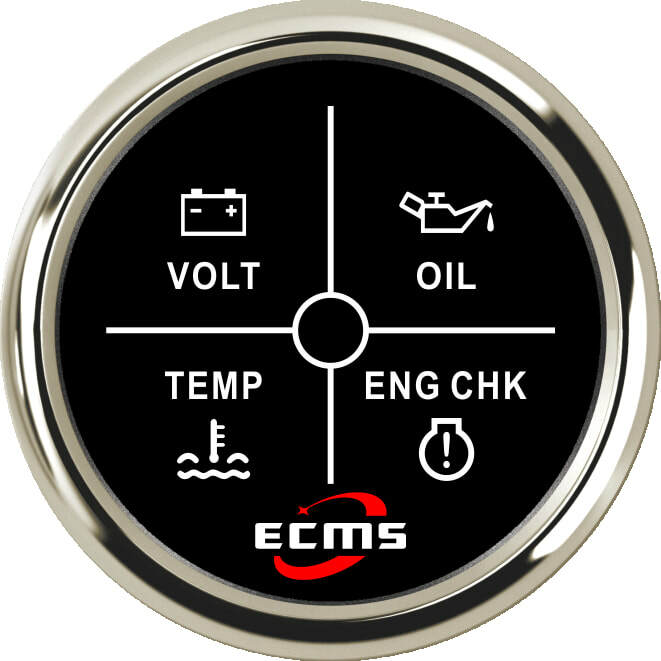 Robust and easy to read waterproof Oil Pressure gauge with glass crystal and stainless steel bezel. 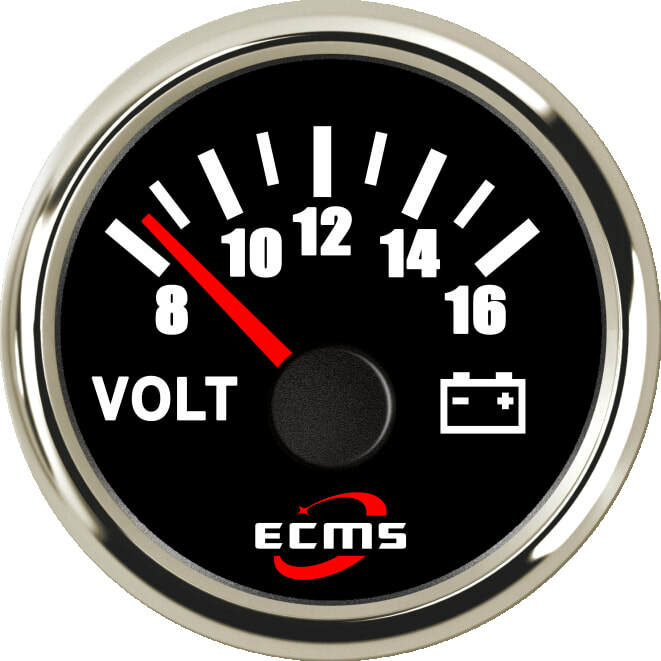 Robust and easy to read waterproof Volt gauge with glass crystal and stainless steel bezel. 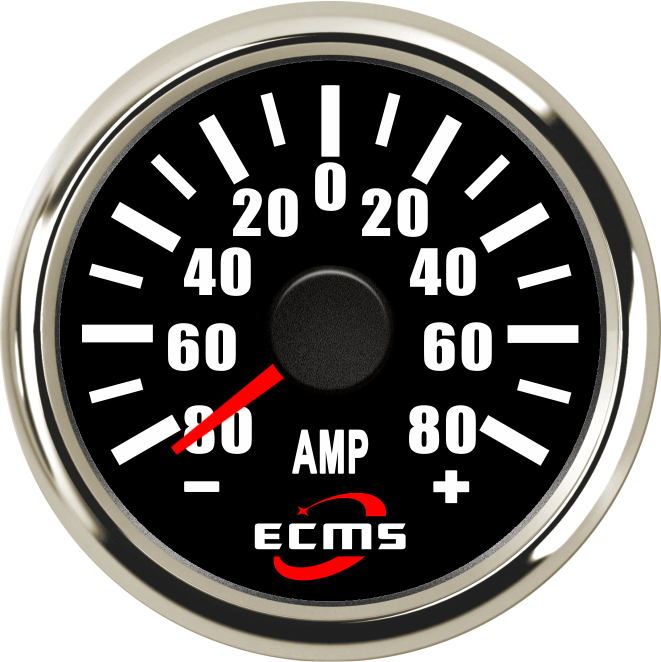 9 to 32 volt input 24 volt gauge is identical except for operating range. Robust and easy to read waterproof Rudder Angle gauge with glass crystal and stainless steel bezel. Signal from sender 190 to 0 Ohms. 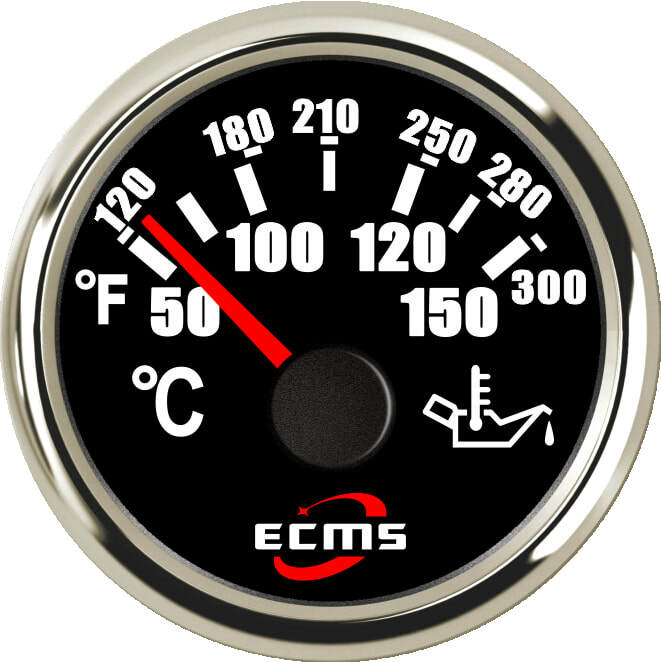 Robust and easy to read waterproof Port Trim gauge with glass crystal and stainless steel bezel. 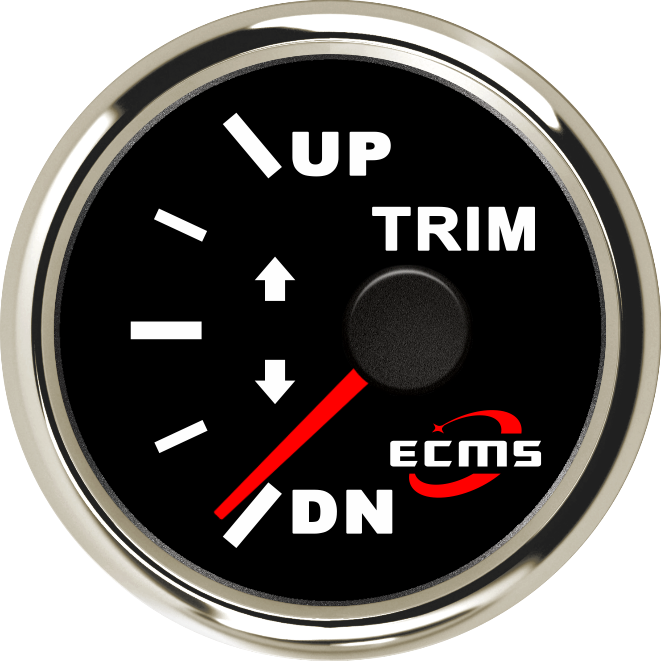 Robust and easy to read waterproof Starboard Trim gauge with glass crystal and stainless steel bezel. Robust and easy to read waterproof Ammeter gauge with glass crystal and stainless steel bezel. Signal from sender -75 mV to +75mV. 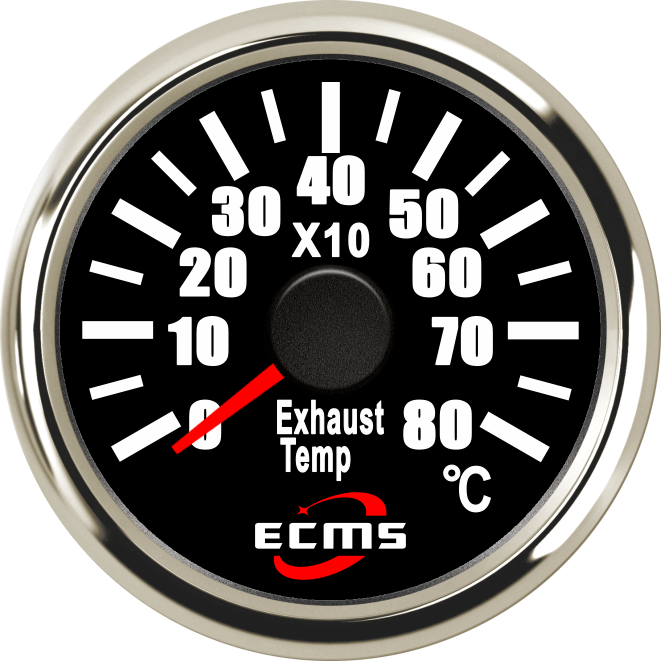 Robust and easy to read waterproof Exhaust Thermometer gauge with glass crystal and stainless steel bezel. 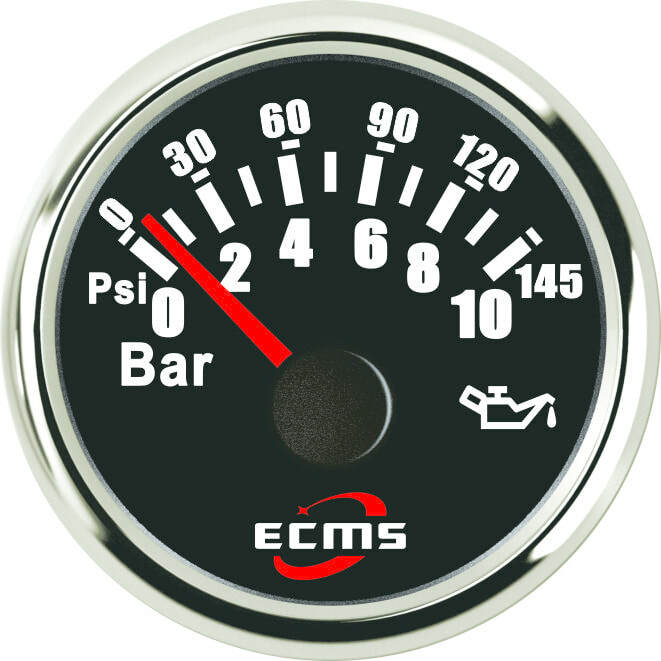 The gauge comes with its own sensor included and works on a wet or dry system. Signal from sender 0 to 800 C.
Robust and easy to read waterproof warning gauge with glass crystal and stainless steel bezel. 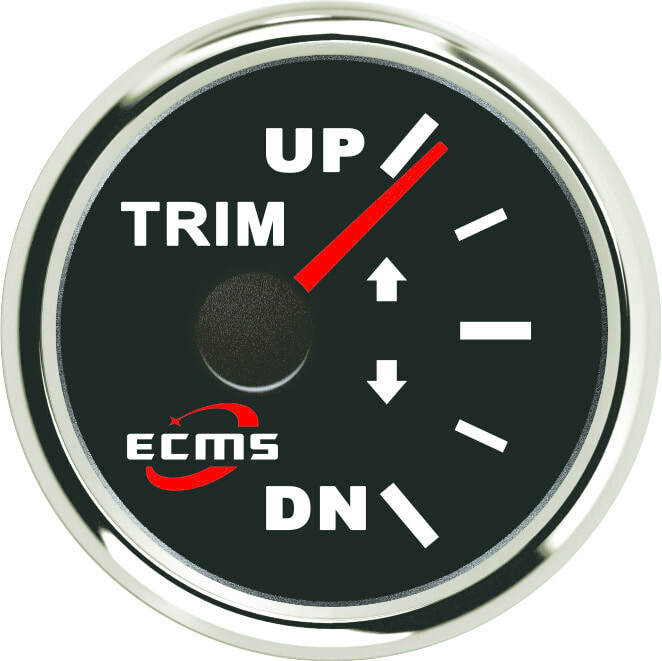 The gauge is divided into four, each quadrant has a light to indicate if the indicated sensor has been tripped . Signal from sender 0 volts when clear 500mV when open. 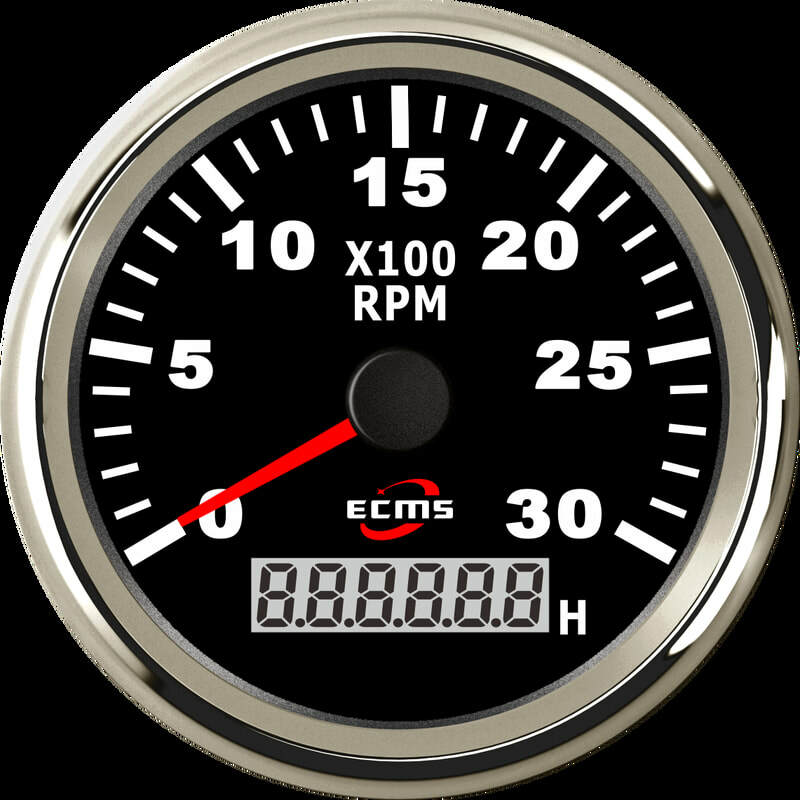 Robust and easy to read waterproof Tachometer gauge with glass crystal and stainless steel bezel. Can be provided as 3000, 4000. 6000 or 8000 RPM.